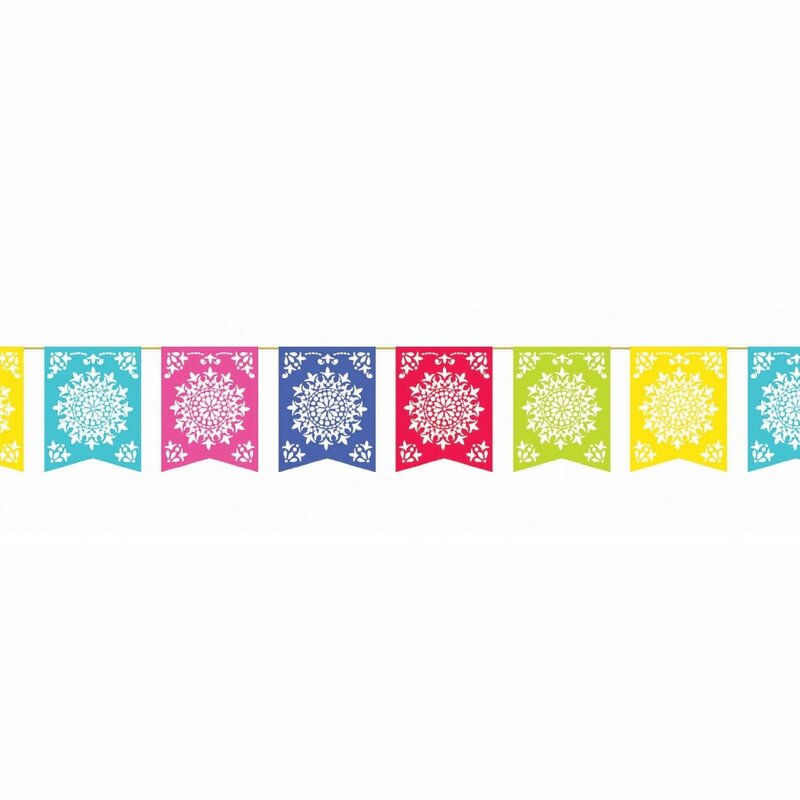 This popular bunting will brighten up any party! It also looks amazing set up in outdoor dining areas. The Del Sol Flag Banner is the perfect party decoration for a Mexican themed party or fiesta! The bunting is made from paper and features lots of bright colours including red, lime green, yellow, aqua blue, hot pink and purple. These are big, bright flags which create a very festive ambiance. A fun party decoration. 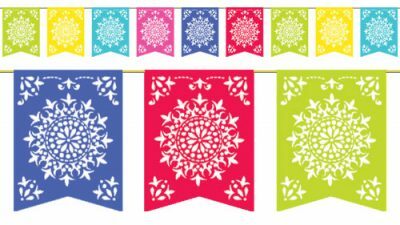 The bunting looks amazing teamed up with our block coloured fiesta range including Paper Napkins ~ Fiesta, Paper Plates ~ Fiesta and Paper Cups ~ Fiesta.